CHANGING YOUR bike's oil and filter isn't a great deal more difficult than refreshing the coolant system; all you need are the right tools, decent oil and the correct filter. Check your workshop manual for a detailed explanation of the steps before going ahead. As with any first attempt, consider asking someone more experienced to oversee progress from start to finish. With the engine warm, remove the bike's oil filler cap, place a tray under the bike and remove the sump plug. Make sure you're 100% sure you're removing the right bolt; it should be the biggest one on the sump, usually on the bottom or on the side. Once the oil's drained, remove the filter, either by hand if you're built like Desperate Dan or using a filter removal wrench. Replace the sump plug and tighten to the correct torque setting as recommended in the owner's manual before spinning on a new filter. Smear the rubber filter gasket in clean oil before tightening by hand. Nip it up half a turn with the filter wrench. 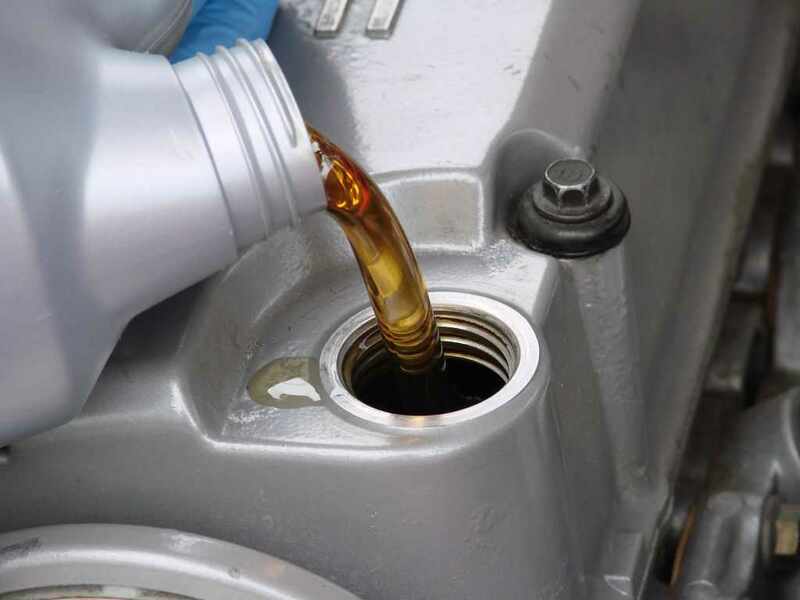 Refill the engine with the recommended amount of new oil. Start the bike, check for leaks and stop the engine again. Give it five minutes for the oil to drain back into the sump before checking the level again. Add oil if necessary or remove some with an oil syringe.